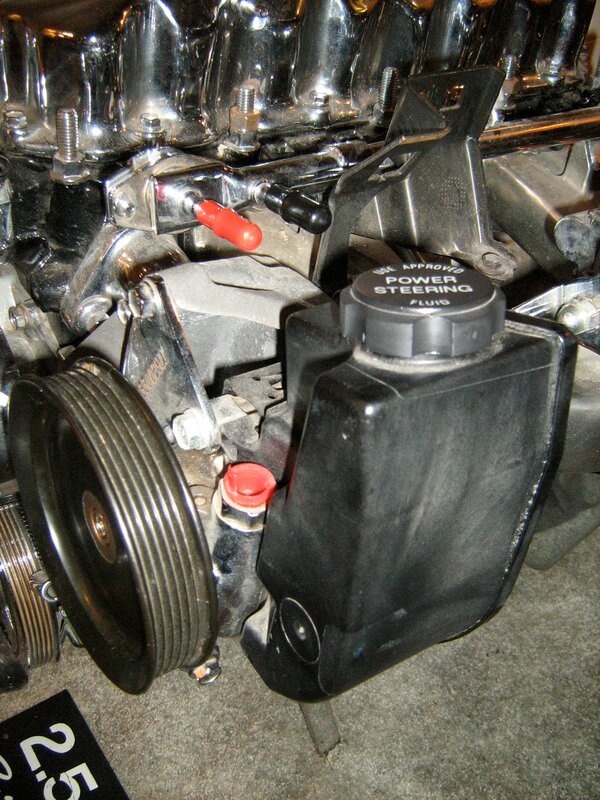 What Is a Power Steering Pump Replacement? When Should You Have the Power Steering Pump Replaced? Most of the time, replacing your power steering pump will only take a little over an hour to do. Expect to pay between $100 – $250 or so for labor costs on this job. The parts are where you will really have to pay out though. You will pay anywhere from $150-$600 for most power steering pumps and the other parts needed to replace an old pump. The most influential part of the cost to replace your power steering pump is the parts, which can have a pretty substantial price difference between different manufacturers. We’ve collected some example price ranges for this repair from some leading garages and parts suppliers. The power steering pump is designed to send power steering fluid through the car’s systems when you turn the steering wheel. It allows you to return the car easily and gives you incredible control that you would not have otherwise. Once that pump starts to malfunction, however, you are going to run into some problems. Your car may become harder to steer and you may have trouble keeping it under control. When it is time to replace that pump, you may be concerned about the cost or you might wonder what the process is for taking out the old pump and putting in a new one. We have you covered there, and we will tell you how much you can expect to pay and what it will take to get your power steering pump replaced. Power steering fluid is necessary if your car is going to be easy to steer and control. Without it, you will have to fight with the steering wheel and really put power behind making simple turns that would not normally require much effort from you. If your pump is malfunctioning, then the fluid will still be there, but it won’t be sent to the steering system. Making sure your pump is replaced when it needs to be not only makes your car safer on the road, but it also gives you a more pleasant and smoother driving experience. You really won’t understand just how easy power steering makes controlling your car until you have to live without it. And once you do experience that, you will want to ensure that your pump is replaced right away. Be sure to have your power steering pump replaced with a new one as soon as it starts to give you trouble. How will you know when it is time to replace your power steering pump? Your first indication may be that the steering wheel is difficult to turn. You may still be able to turn it, but it will require more force than usual. If you see power steering fluid on the ground underneath your car, then you know for sure that your power steering system needs a repair. The fluid can be clear, pink, brown or many other colors, so make sure you know what kind of fluid you are dealing with before you jump to conclusions. If you are concerned about the way your power steering is working and you aren’t sure what the problem is, you should have it checked out by a mechanic. Have them take the car for a test drive and give their opinion on it. Once they inspect the power steering system, if they see a problem there, it needs to be addressed right away. If you are not able to control your car easily, you can end up in an accident and damage yourself and your car. Your mechanic will start by inspecting the power steering system. He wants to find out what is the problem precisely and determine if the pump or some other component of the system needs to be replaced or repaired. Once he has determined that it is the pump at fault, he will take out the power steering pump and place the new one in. In many cases, this will be followed by adding in power steering fluid to replace what may have leaked out. If contaminates got into the fluid still in the power steering tank, then the tank may be bled out to remove the contaminants. After the new pump is in place and the fluid is replaced, the mechanic will inspect the belt for the power steering system as well as the reservoir. He will also inspect the pinion system and the rack. When a power steering pump is damaged, it can sometimes cause problems with other parts of the car, and the mechanic will want to rule out damage to those other parts. Finally, the mechanic will check for any leaks and give the car a test drive to ensure it is steering properly. Your key to saving money on this work is going to be using aftermarket parts or buying your own parts and bringing them into the mechanic. Now you can’t usually do that at a dealership. They are going to require that you let them use their own company parts. But if you go to a private mechanic, you may be allowed to pick from a selection of parts or you may be able to bring in your own parts you have sourced and have them install it for you. It won’t save you on labor, but it can save you in shipping and parts costs. Of course, you can do the repair yourself, but you want to be careful about working on your car if you are inexperienced with this specific kind of repair. You could call in an expert to guide you through the process or at least watch an instructional video that pertains to your car’s model. Below are some sample power steering pump replacement costs for some of the more widely owned vehicles in the country. Costs are indicative of what you can expect to pay for your brand of car, or a car of a similar size.